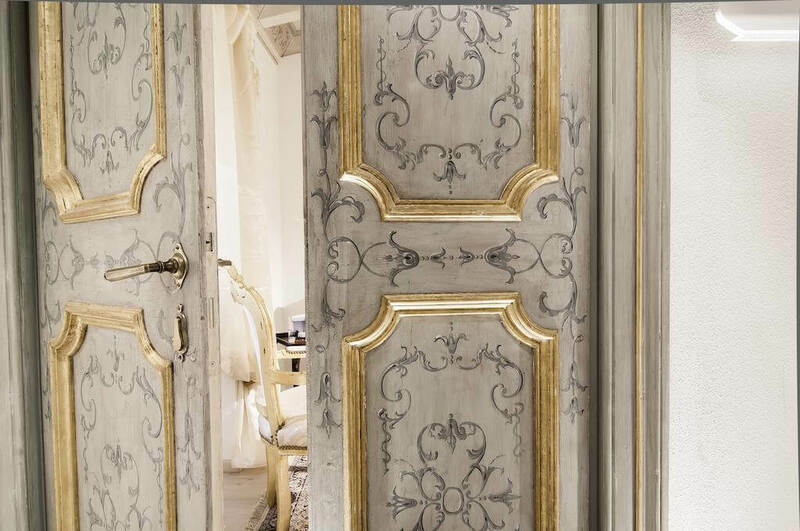 Elegance & Design. 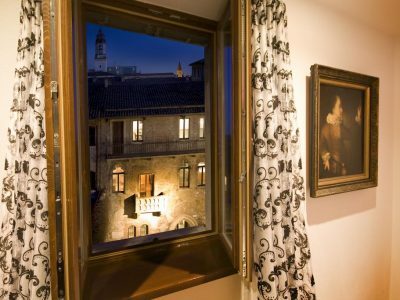 From your room you can admire the famous balcony of Juliet, with a unique panoramic view of one of the most visited monuments in the world. 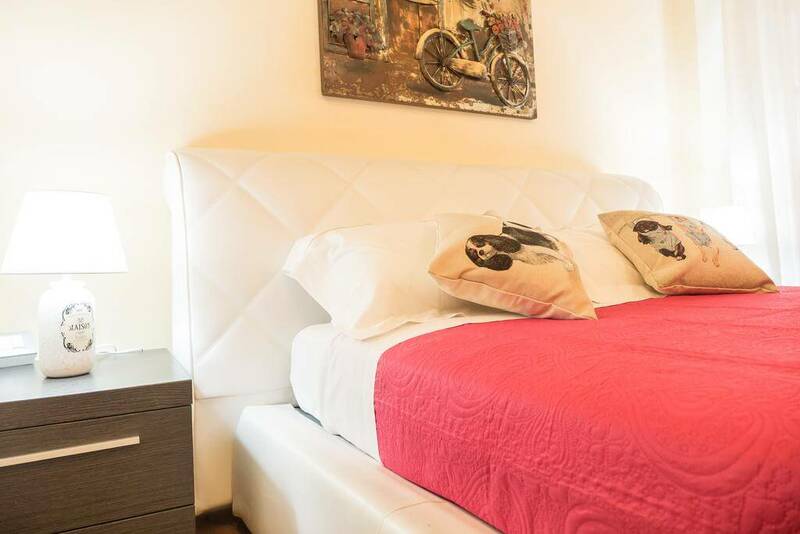 Studied in detail, double bed, living room area,bathroom with chromotherapy shower, visible modern tub, a starry sky ceiling, free Wi-Fi, mini bar,flat screen LED TV, safe and every other necessary comfort to make your stay exclusive. 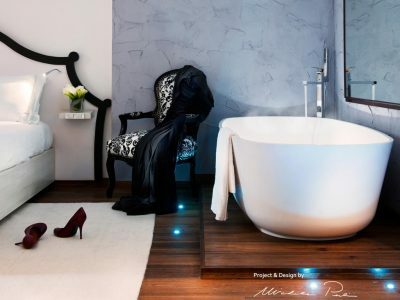 Elegance & Design. 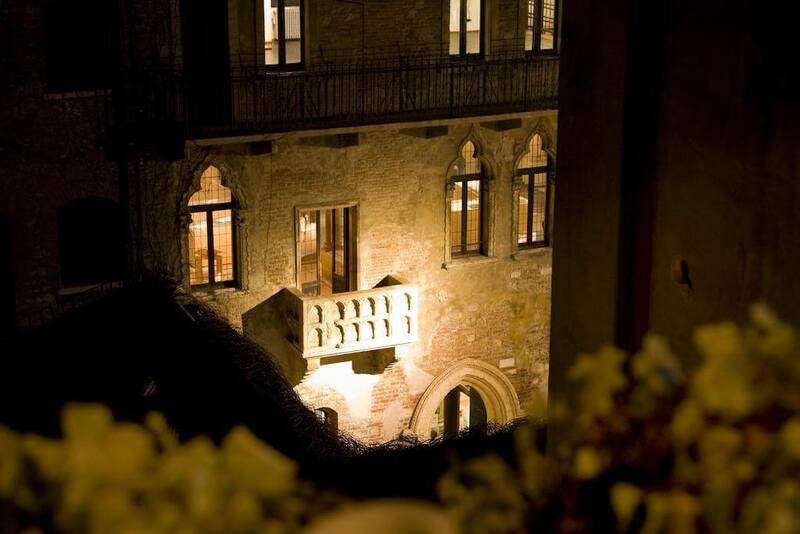 From your room you can admire the famous balcony of Juliet and the medieval tower of Lamberti with a unique panoramic view of one of the most visited monuments in the world. 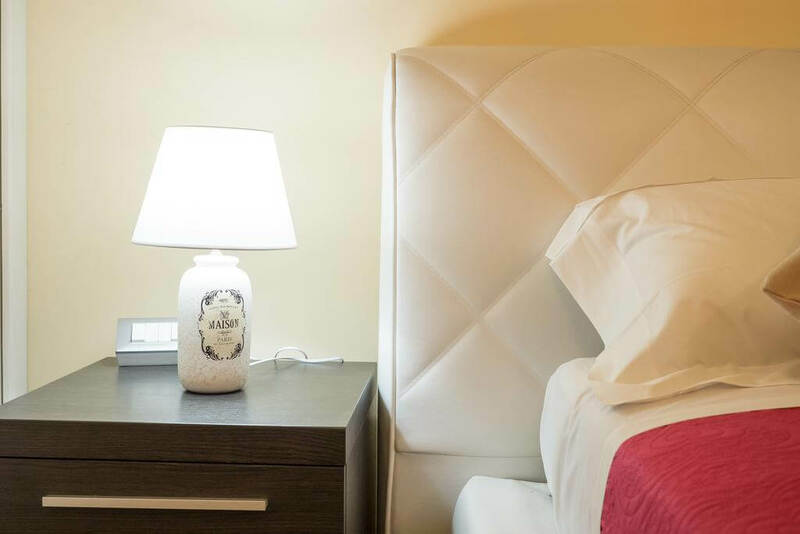 Studied in detail,our biggest mansard room on top floor, double bed,spacious living room area, bathroom with chromotherapy shower, free Wi-Fi, minibar,flat screen LED TV, safe and every other necessary comfort to make your stay exclusive. 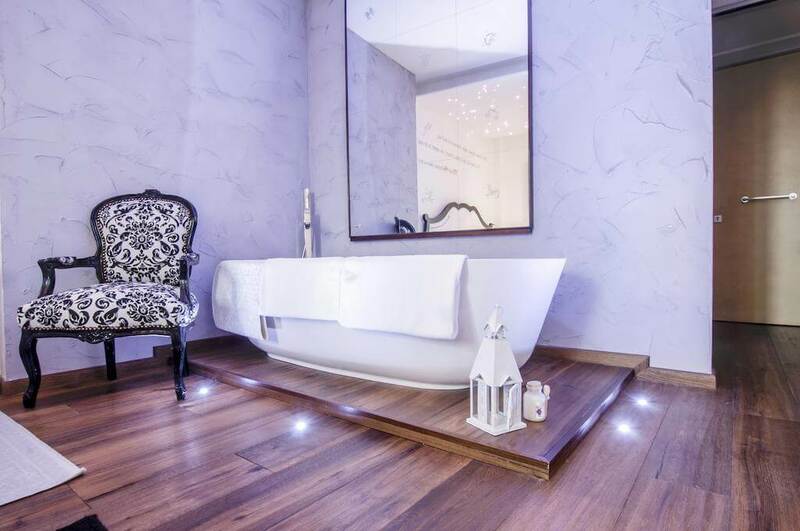 Modern & Refined. 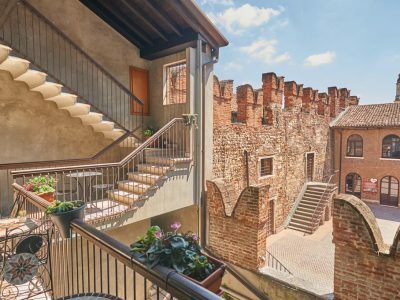 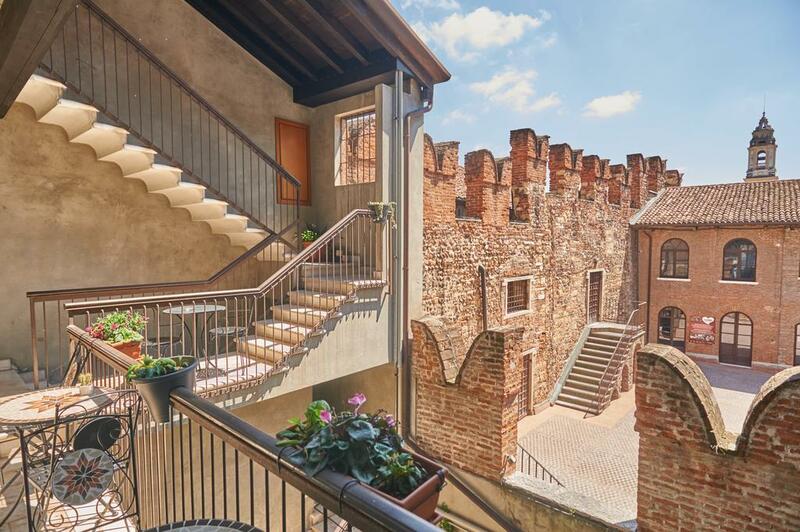 From your room you can admire the famous Torre dei Lamberti, an ancient medieval tower 84 meters tall, which rises from Piazza Erbe, the nerve center of the city of Verona. 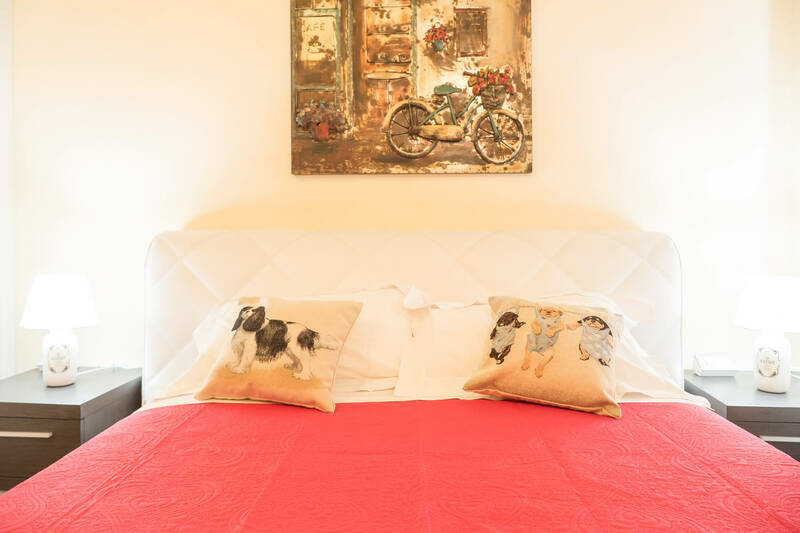 Studied in detail, double bed, bathroom with shower and chromotherapy, living area, free Wi-Fi, flat screen LED TV, safe, mini-bar and every other necessary comfort to make your stay exclusive. 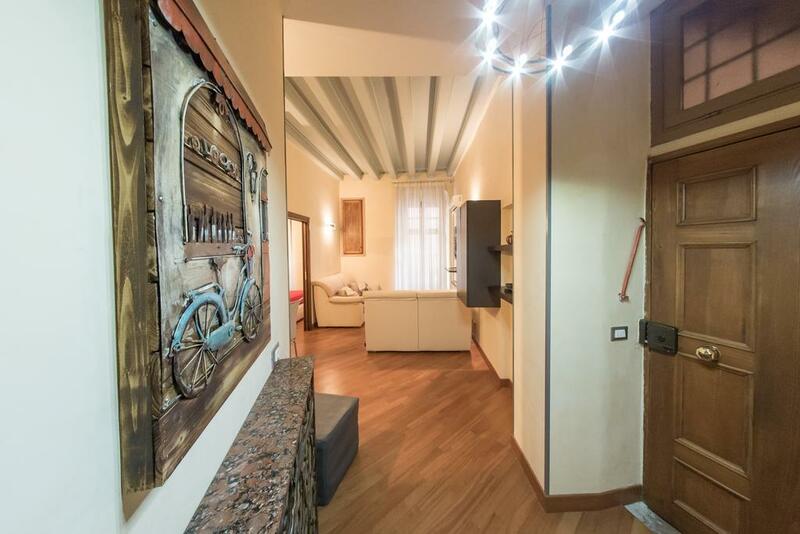 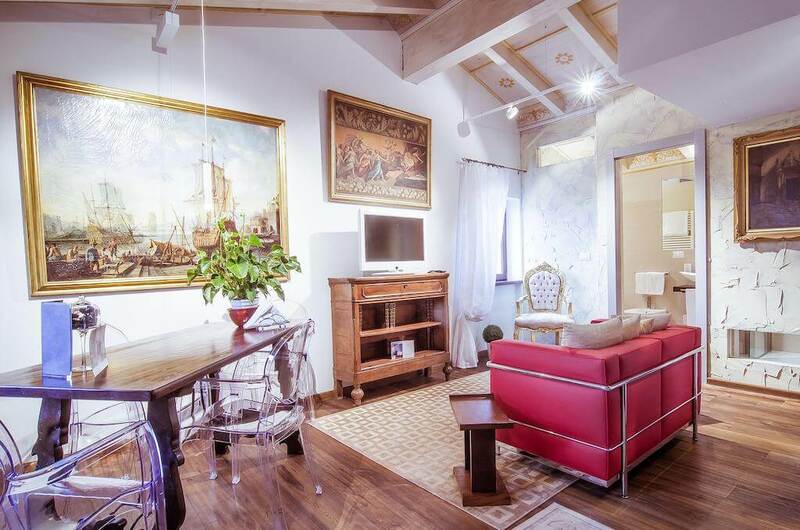 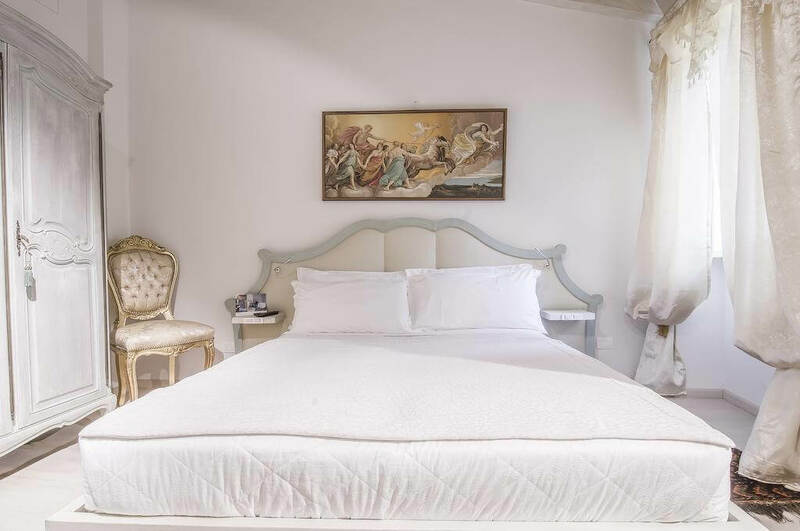 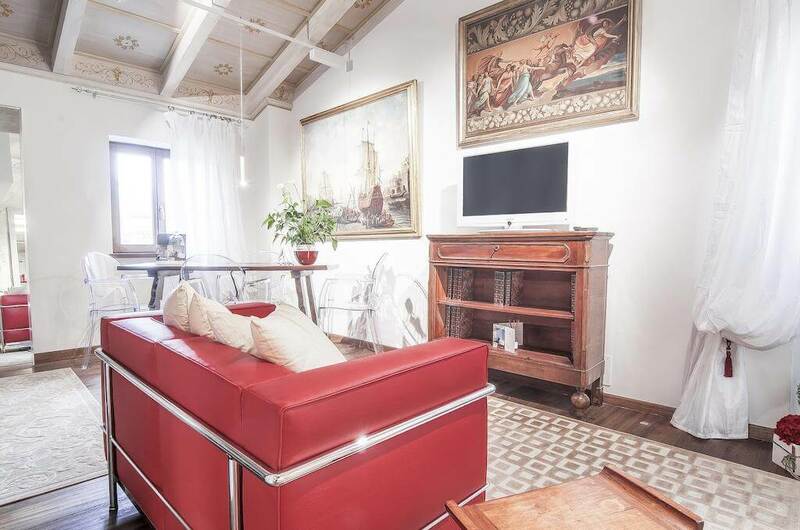 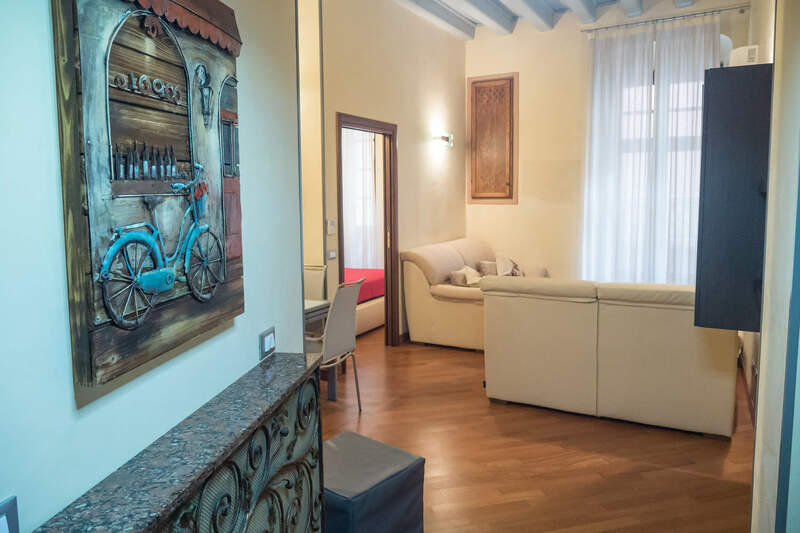 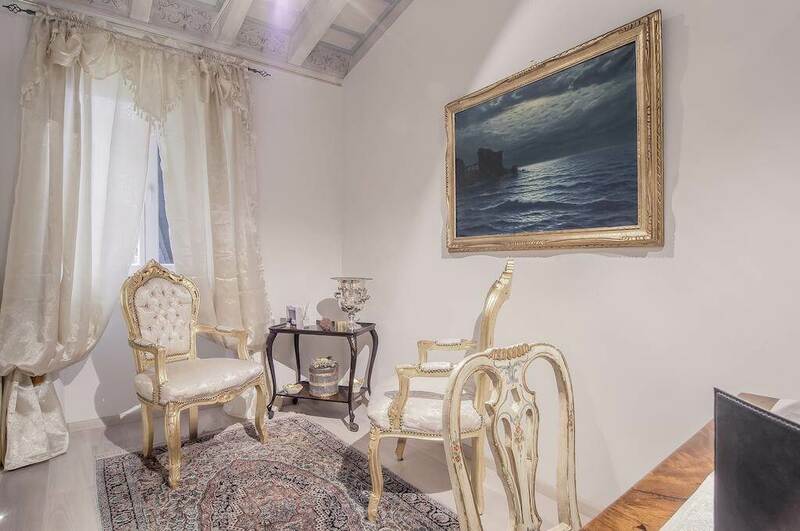 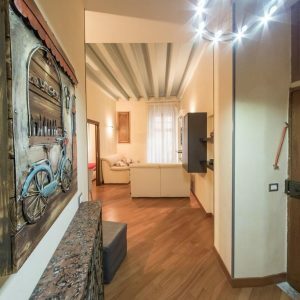 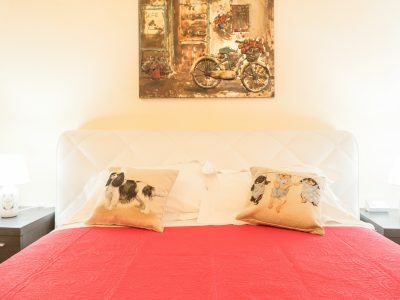 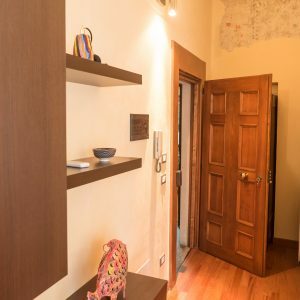 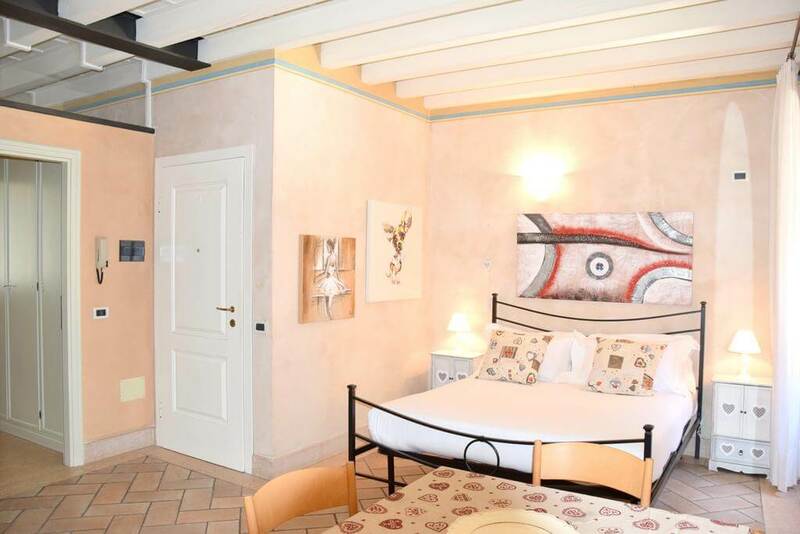 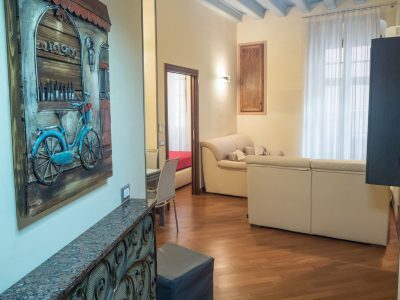 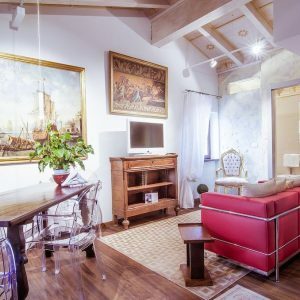 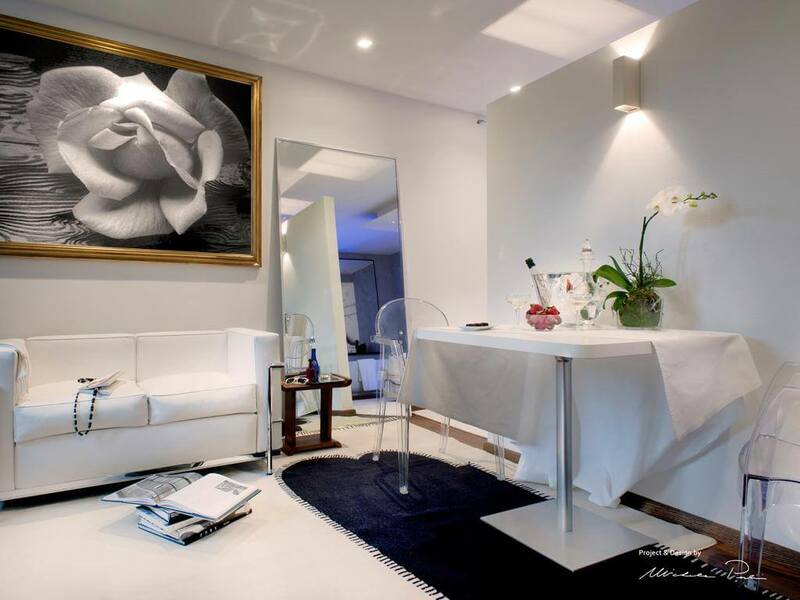 Completely renovated with original modern paintings by artists of Verona, double bed, free wi-fi and living area, is ideal both for those who want to immerse themselves in the romantic atmosphere of the city and perfect to work commitments, because of the centrality, right in front the most representative monument of Verona. 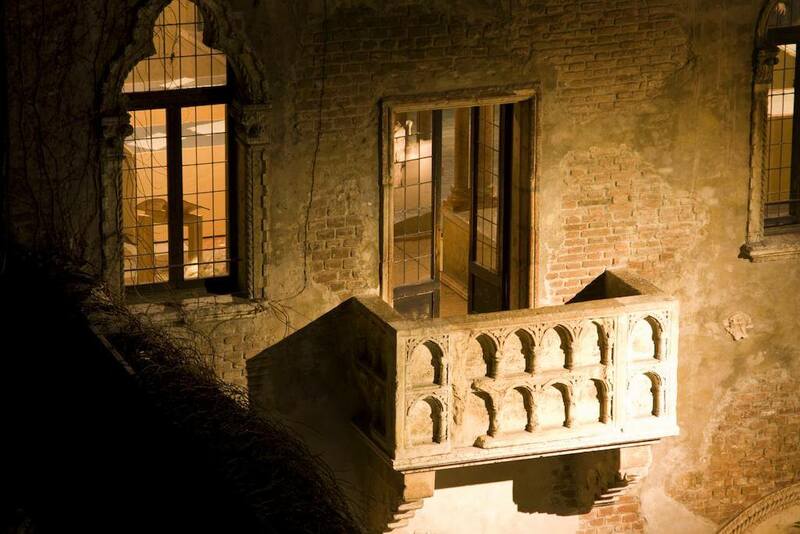 It is located on the third floor of the building, with direct view on Giuliet’s balcony. 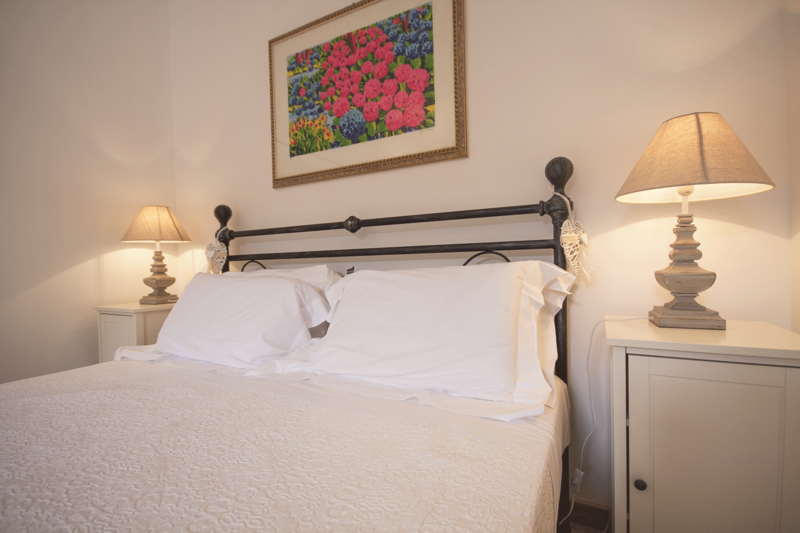 The room has a large double bed, a bathroom with shower, flat Tv, free Wi-Fi, mini bar, air conditioning. 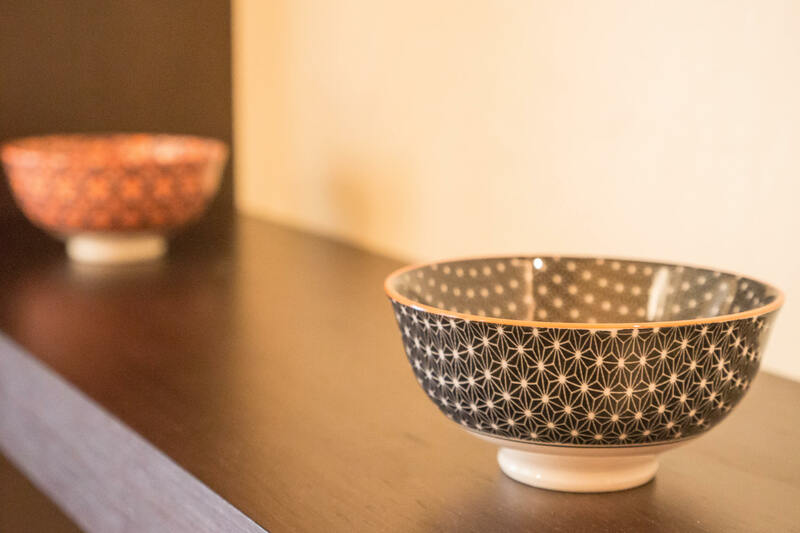 It is located on the third floor of our building. 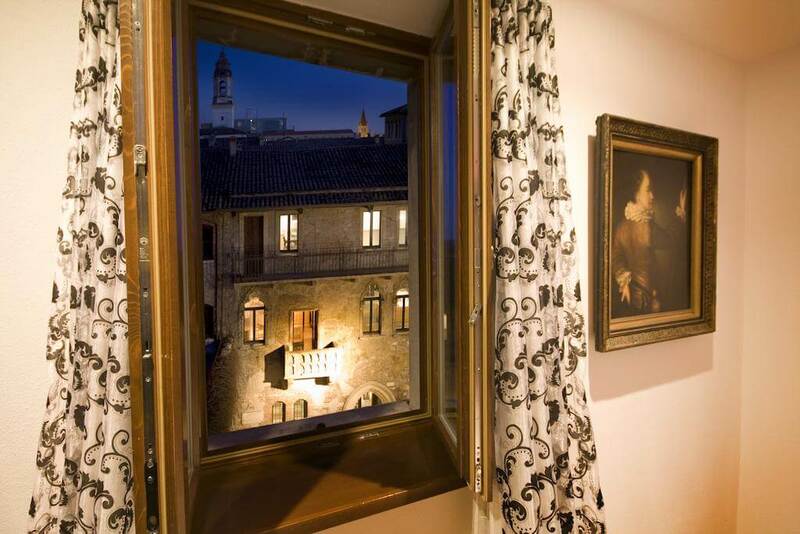 From its windows, you can enjoy a wonderful view on the city of Verona. 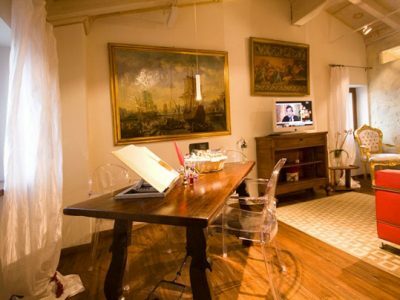 The room has a large double bed, a bathroom with shower, flat Tv, free Wi-Fi, mini bar, air conditioning. 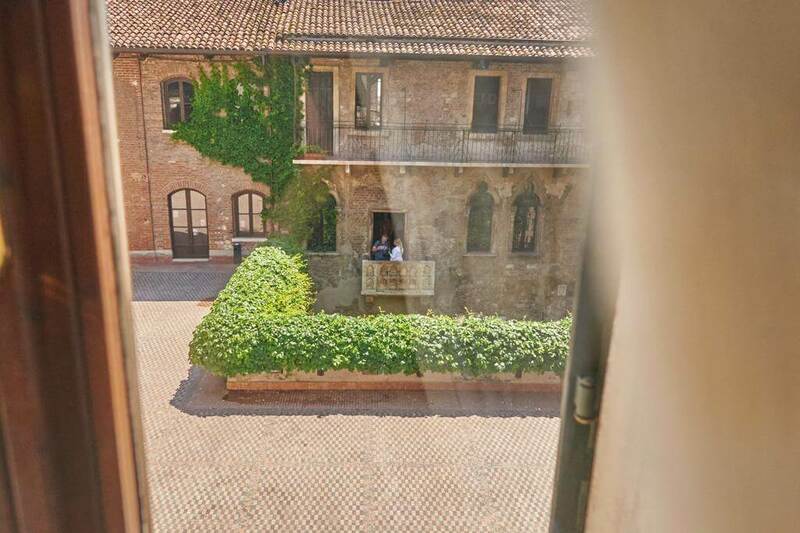 It is located a few meters from the main building. 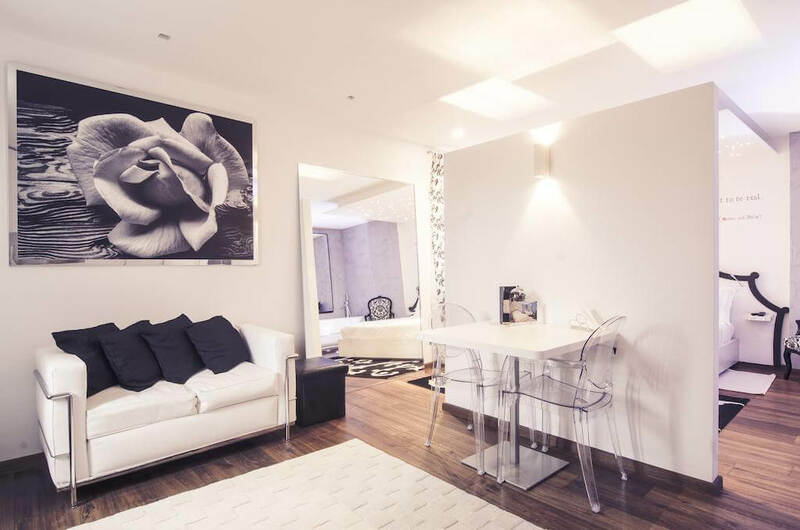 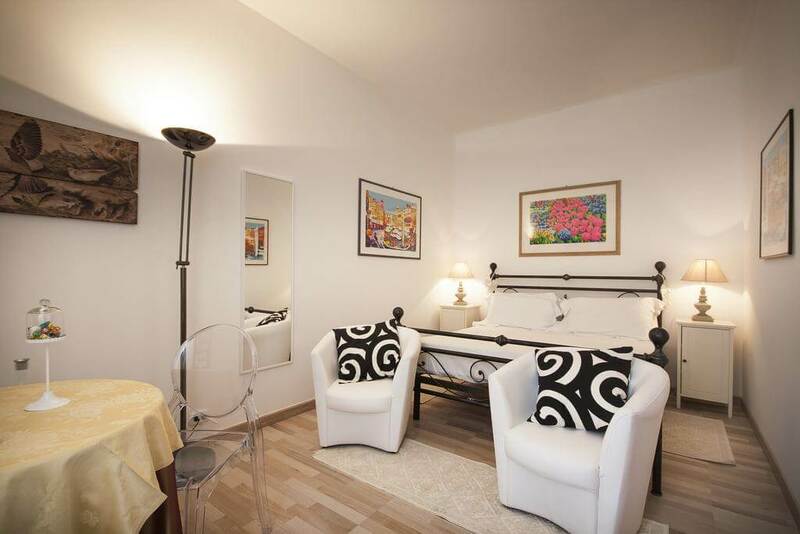 This gorgeous apartment has a separated entrance and offers all the comforts, such as a fully equipped kitchen. 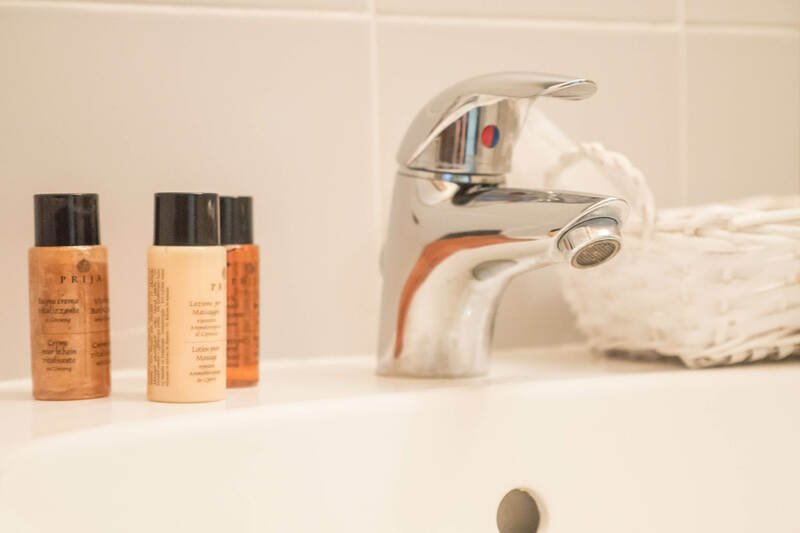 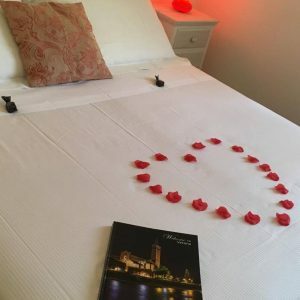 The apartment has a large double bed, a bathroom with shower, flat Tv, free Wi-Fi, fully equipped kitchen (with oven), coffee machine and coffeepot, toaster, kettle, towels, hairdryer, complimentary toiletries. 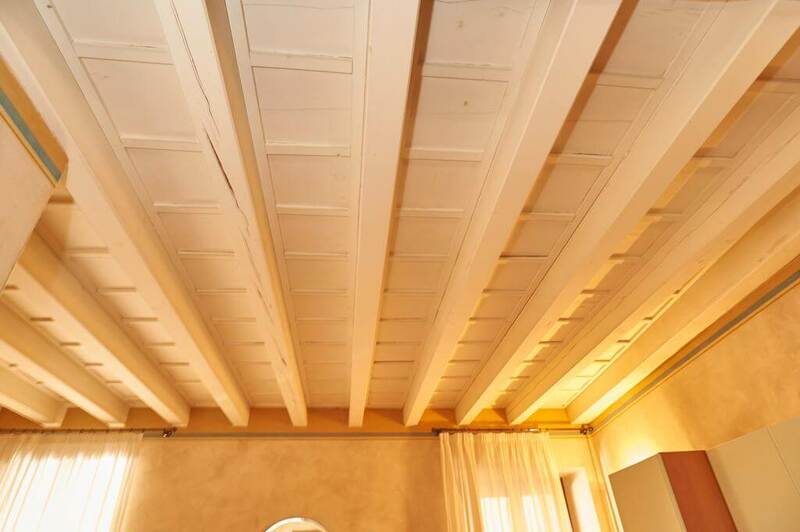 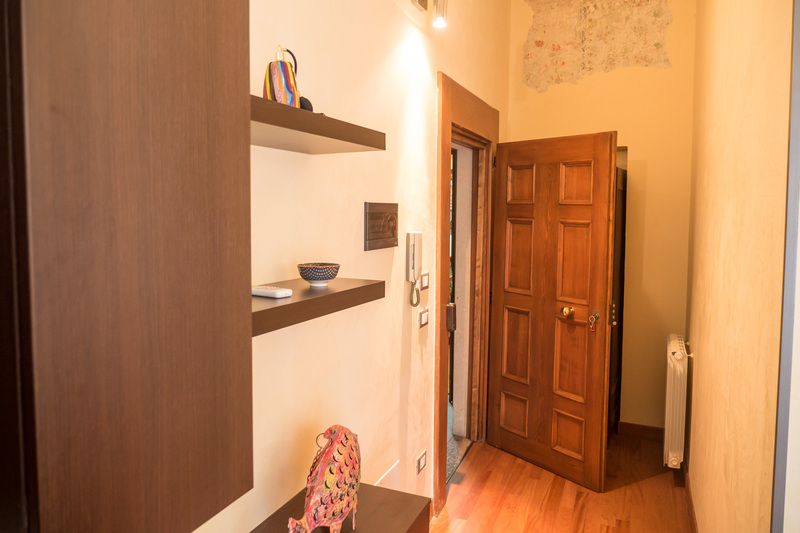 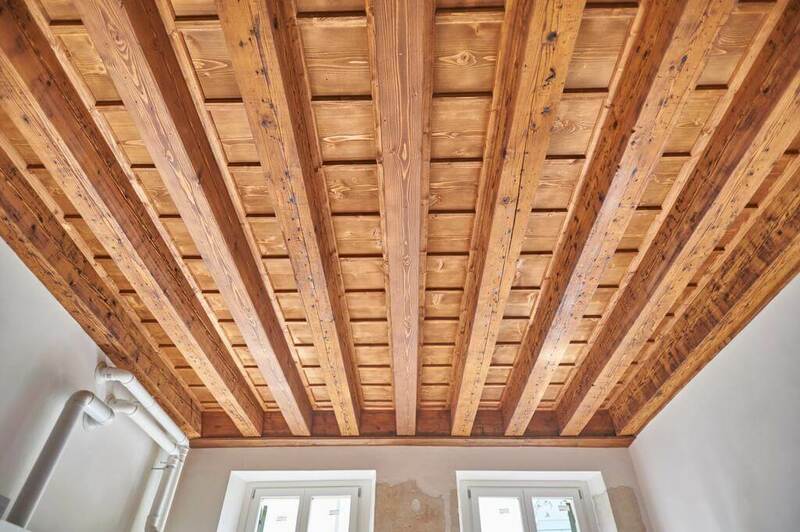 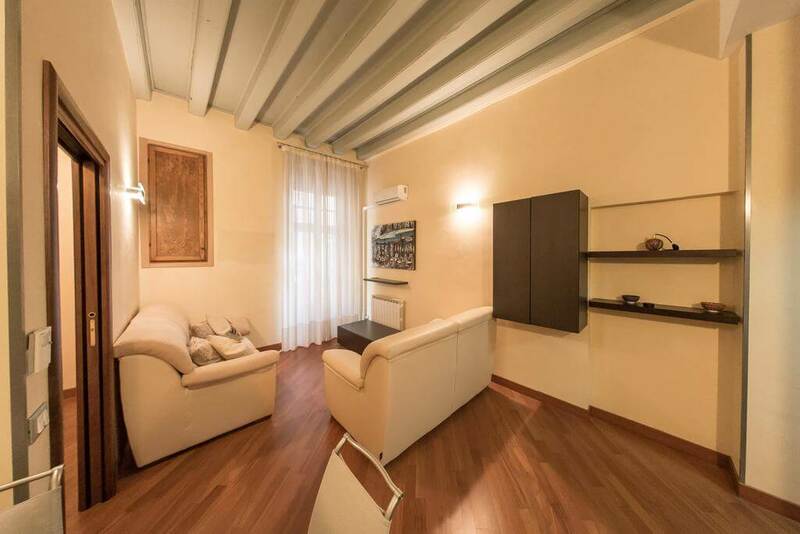 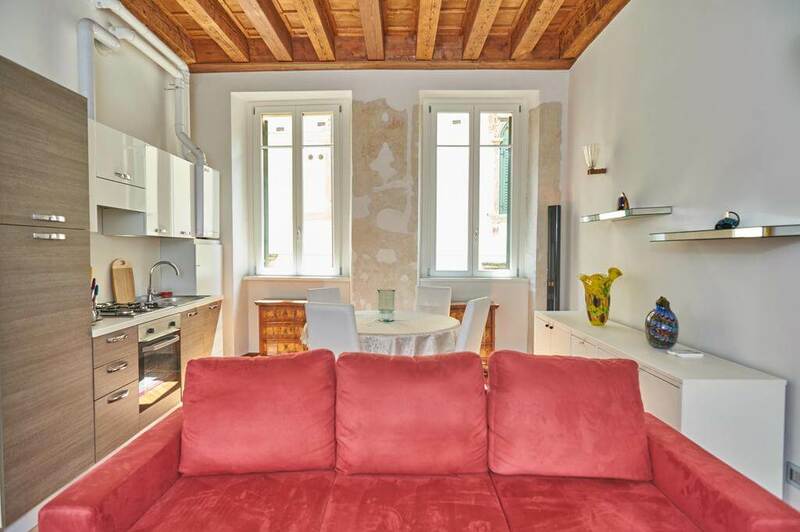 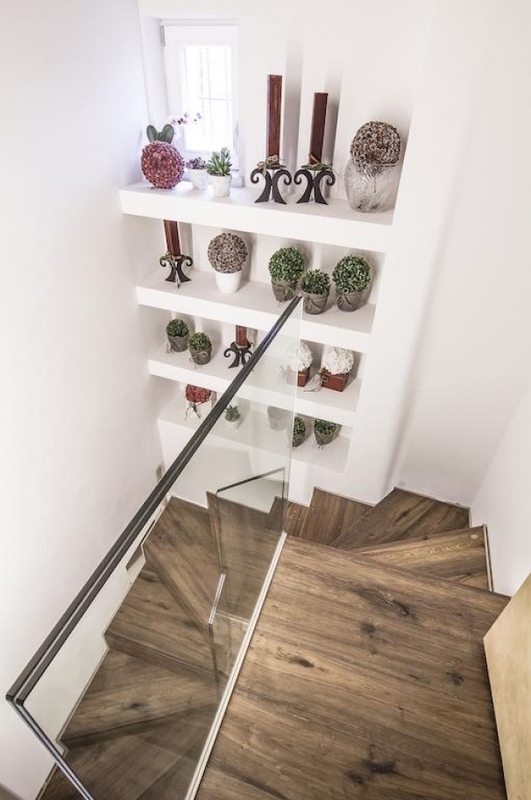 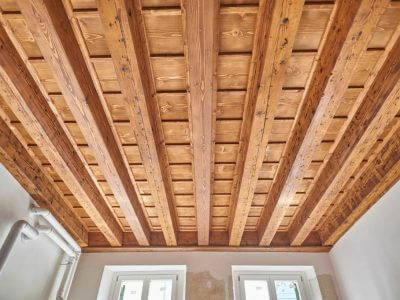 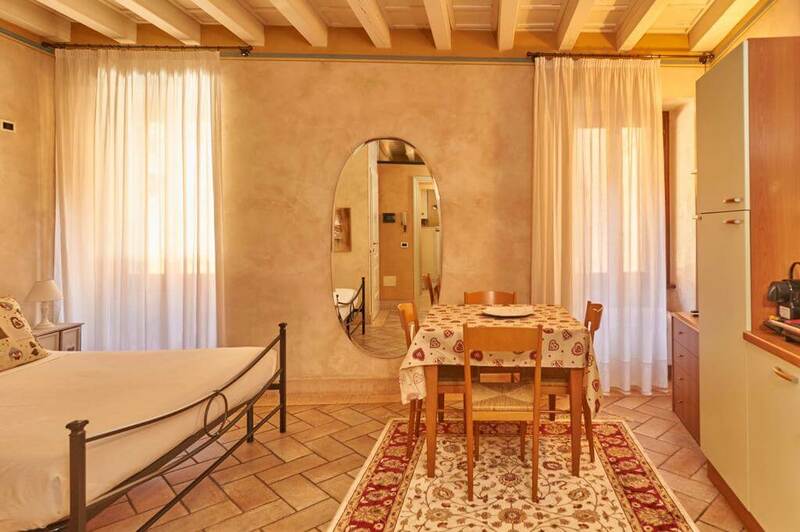 It is a sophisticated apartment with beamed ceiling, parquet and ancient walls. 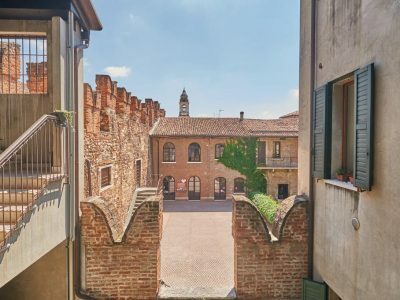 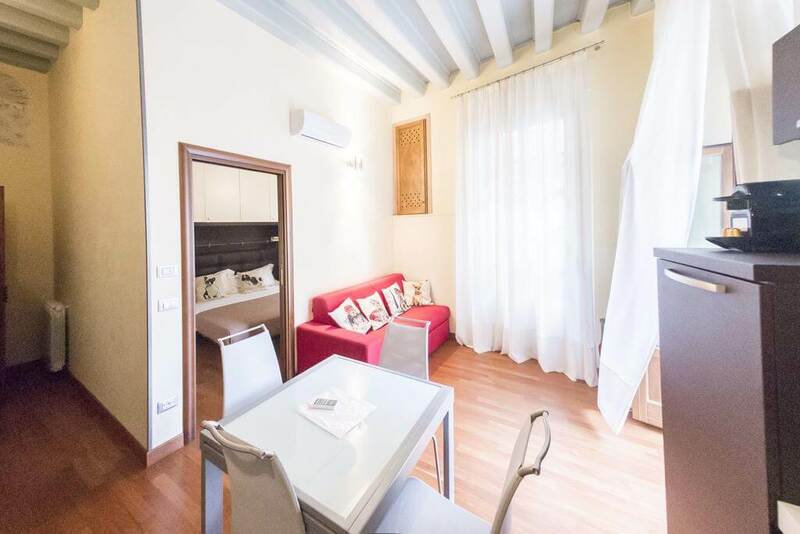 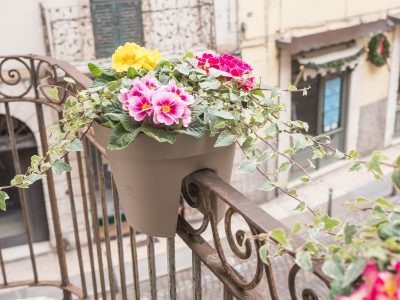 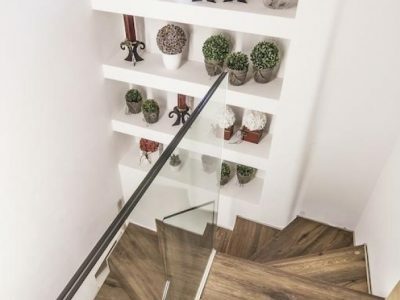 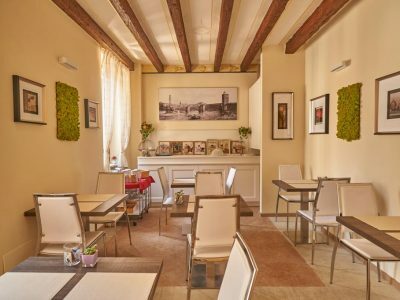 It is located in the center of Verona, right in front of the famous Pozzo dell’Amore (well of love) and next to Piazza Erbe and Portoni Borsari street. 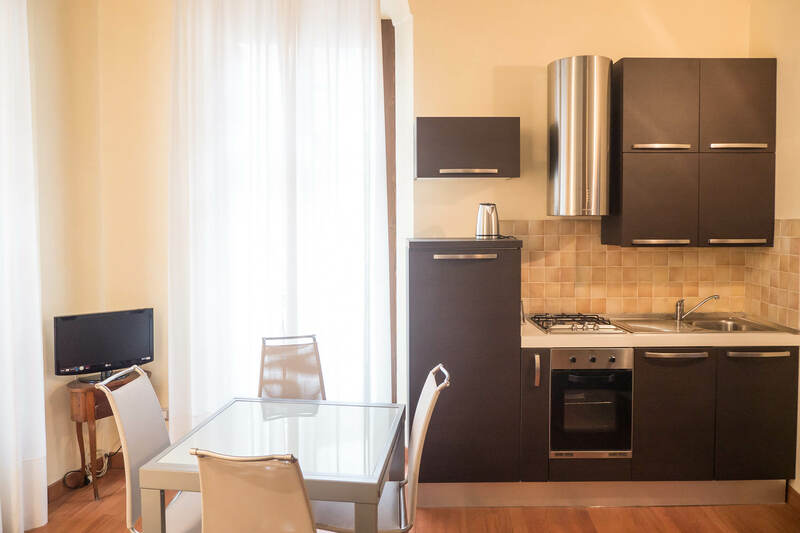 The apartment, of about 65 square meters, is fine furnished and it offers all types of comfort: flat Tv, air conditioning, free Wi-Fi, fully equipped kitchen (with oven), coffee machine, toaster, kettle and so on. 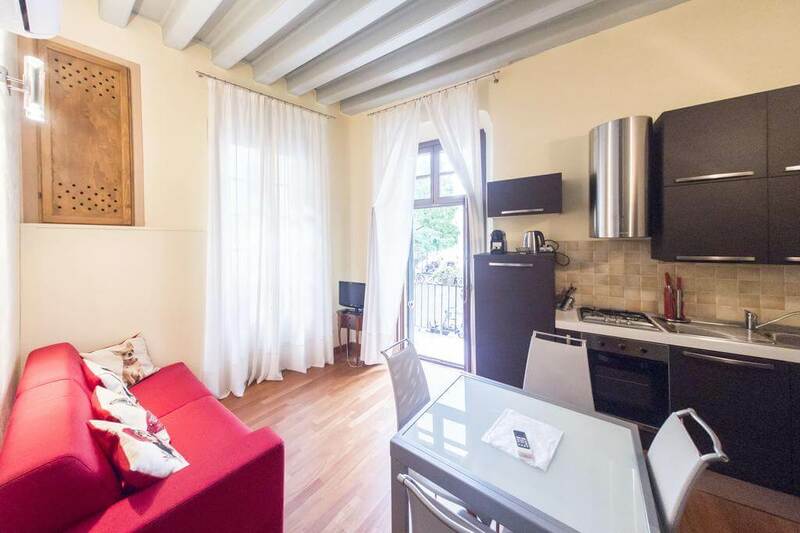 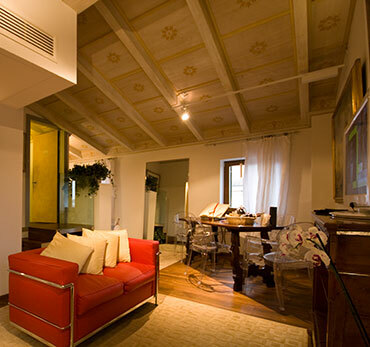 It is an elegant apartment with beamed ceiling, ancient walls and panoramic balcony. 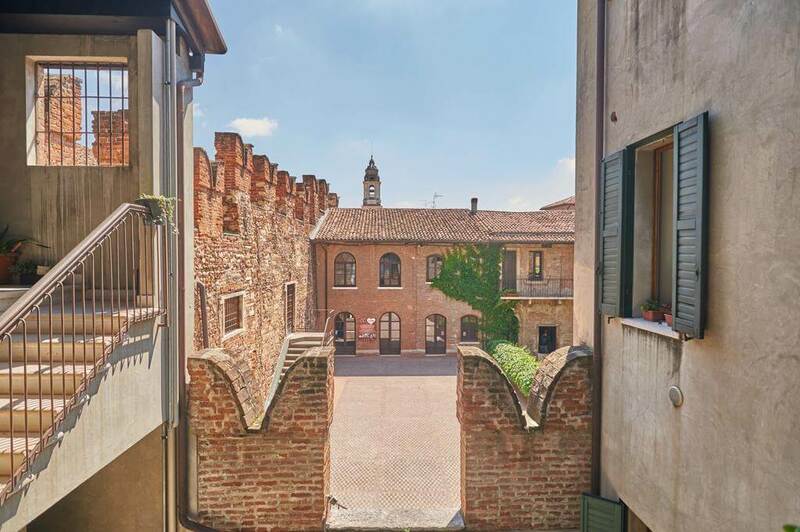 It is located in the center of Verona, in the area of haute couture, a few meters from Le suite di Giulietta. 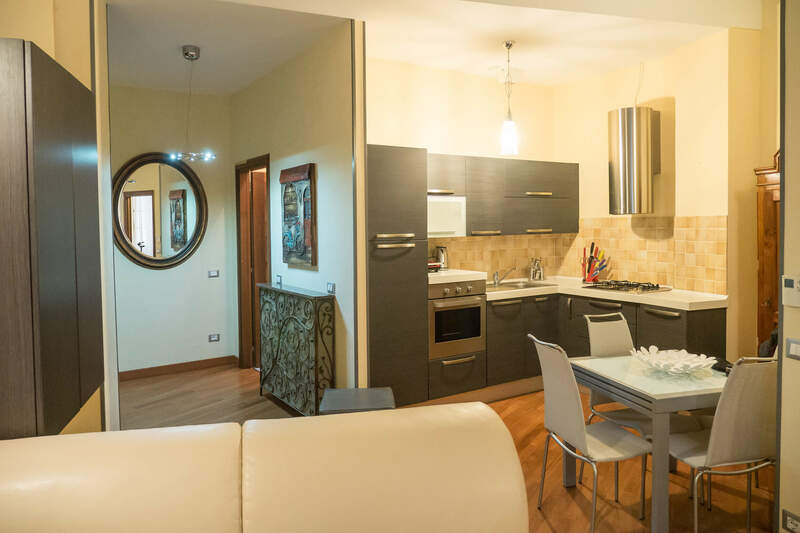 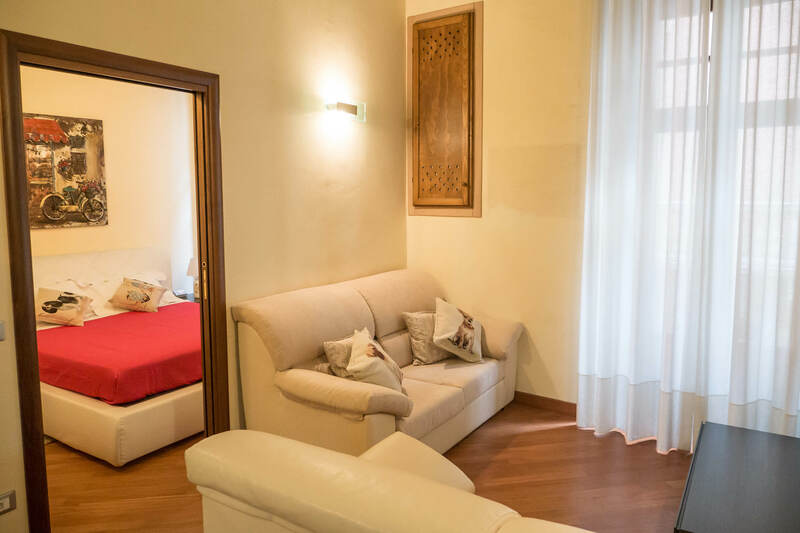 The apartment, of about 50 square meters, is fine furnished and it offers all types of comfort: flat Tv, air conditioning, free Wi-Fi, fully equipped kitchen (with oven), coffee machine, toaster, kettle and so on. 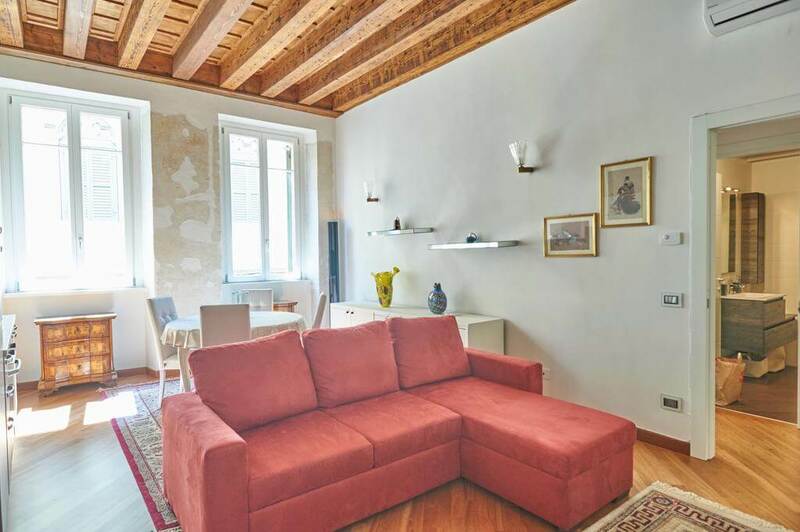 It is a sophisticated apartment with beamed ceiling, parquet and ancient walls. 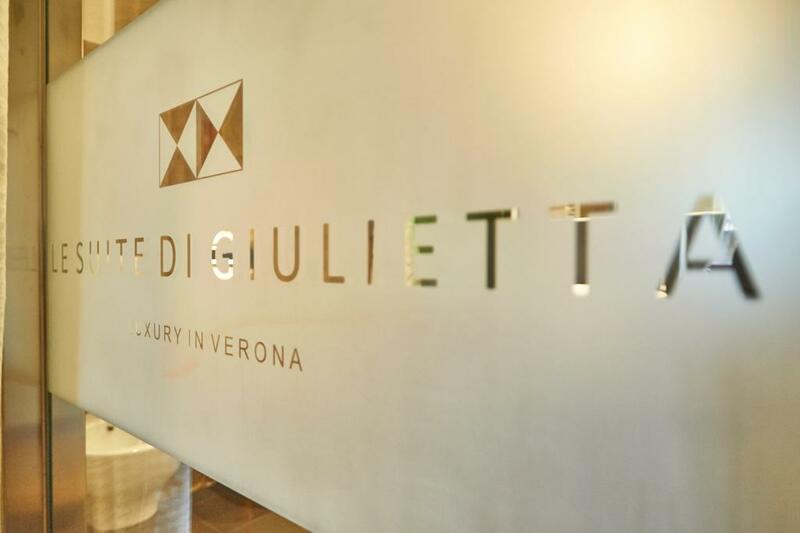 It is located in the center of Verona, in the area of haute couture, a few meters from Le suite di Giulietta. 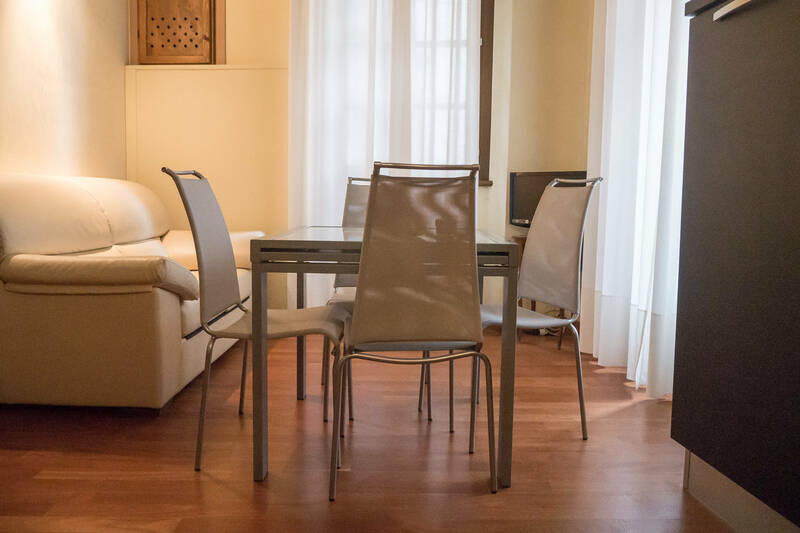 The apartment, of about 65 square meters, is fine furnished and it offers all types of comfort: flat Tv, air conditioning, free Wi-Fi, fully equipped kitchen (with oven), coffee machine, toaster, kettle and so on. 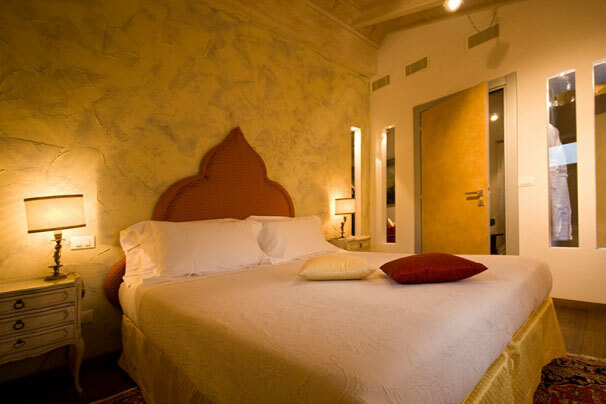 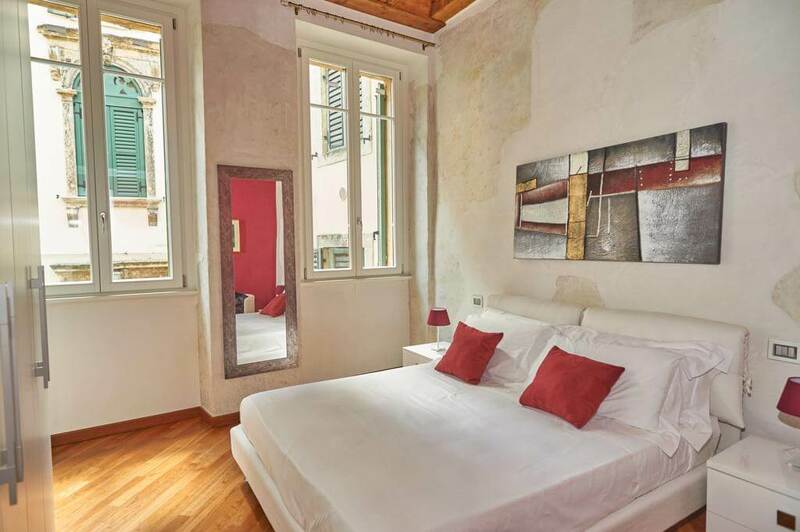 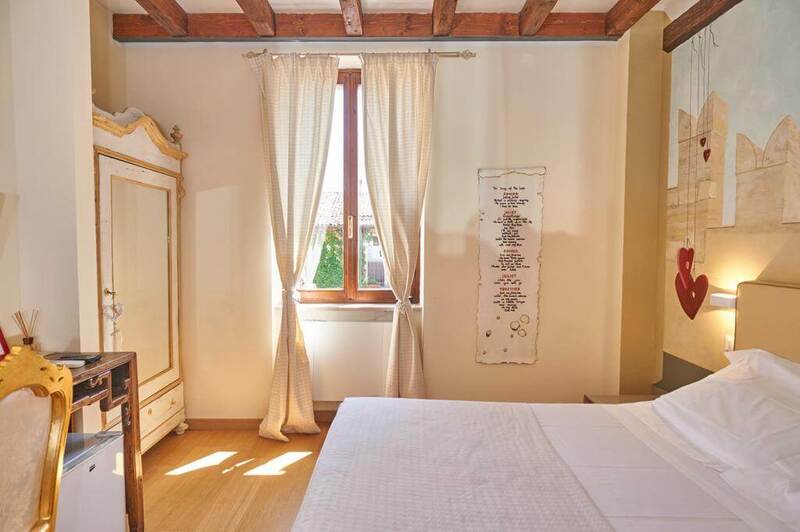 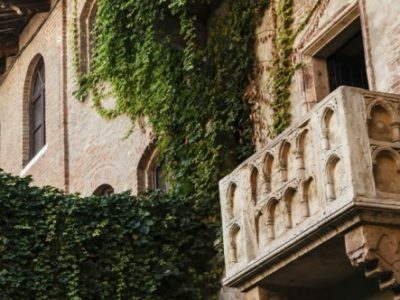 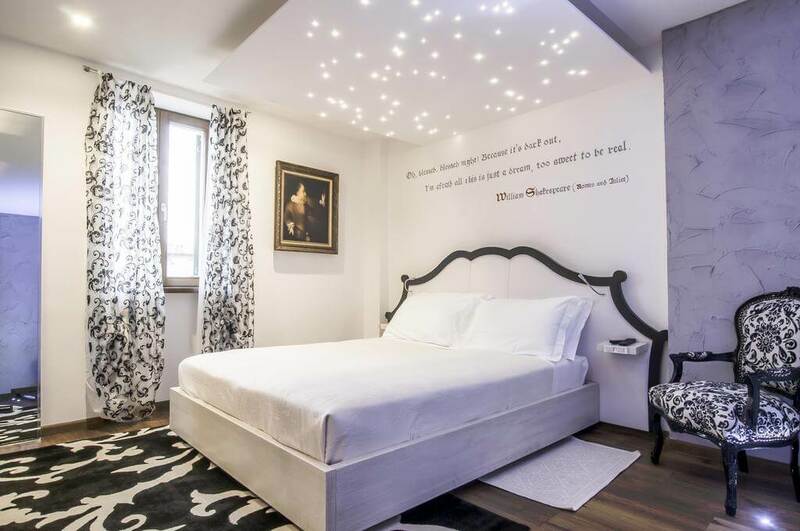 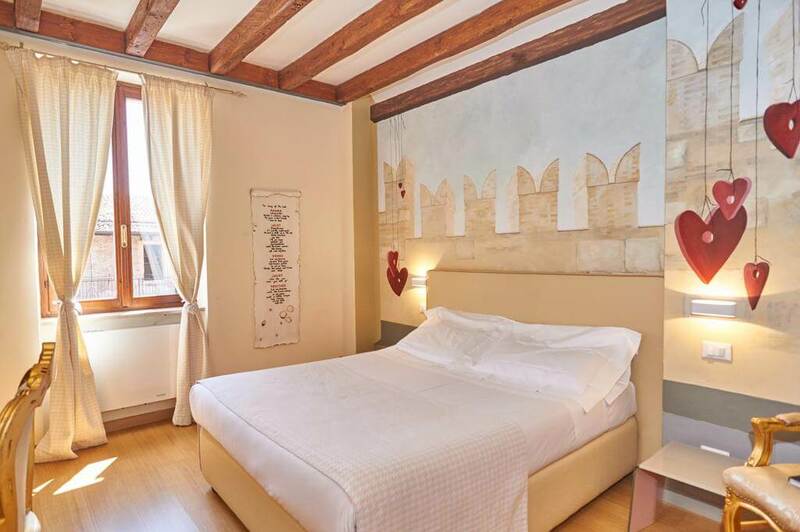 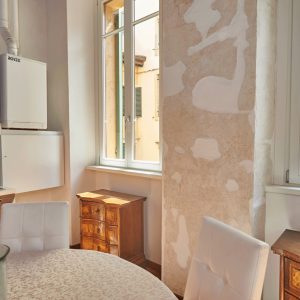 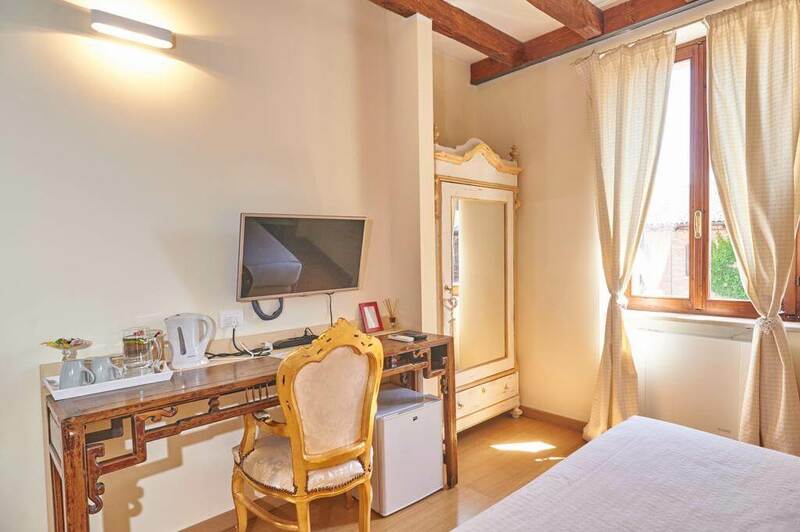 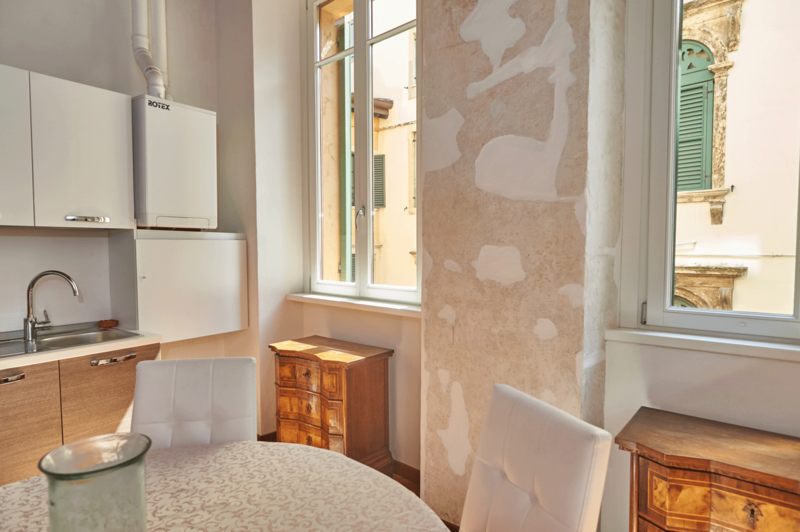 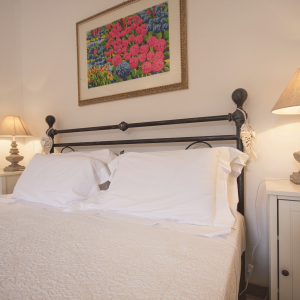 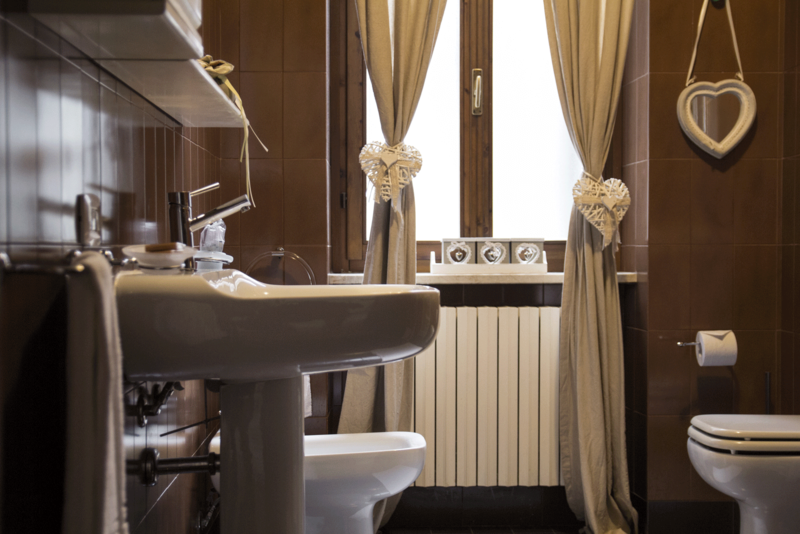 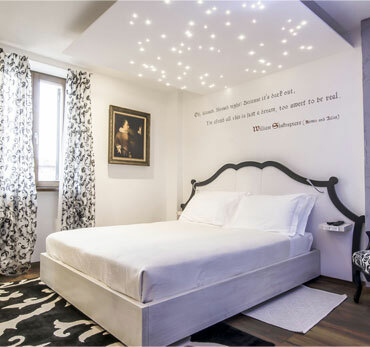 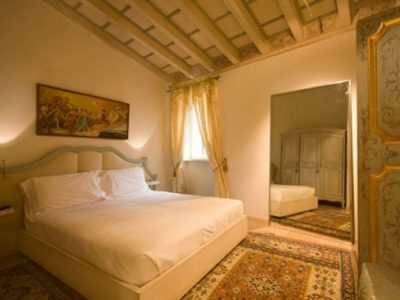 Le Suite di Giulietta, a charming inn, in front of the balcony of Romeo and Juliet, in the historic center of Verona. 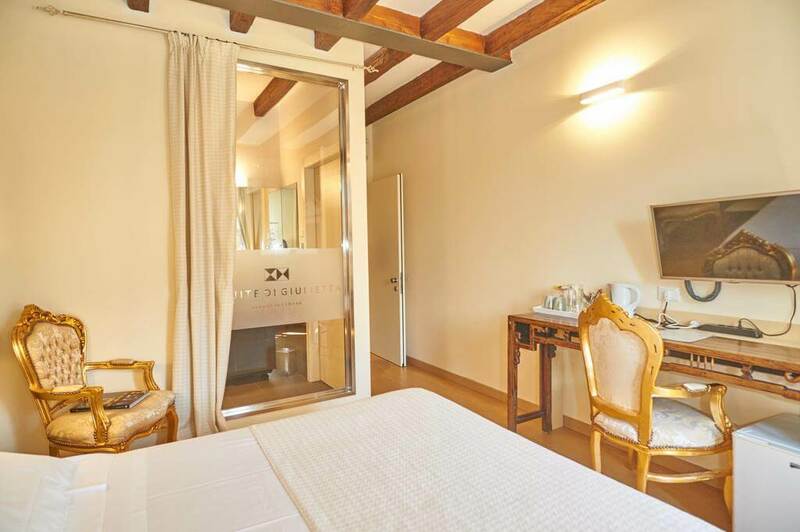 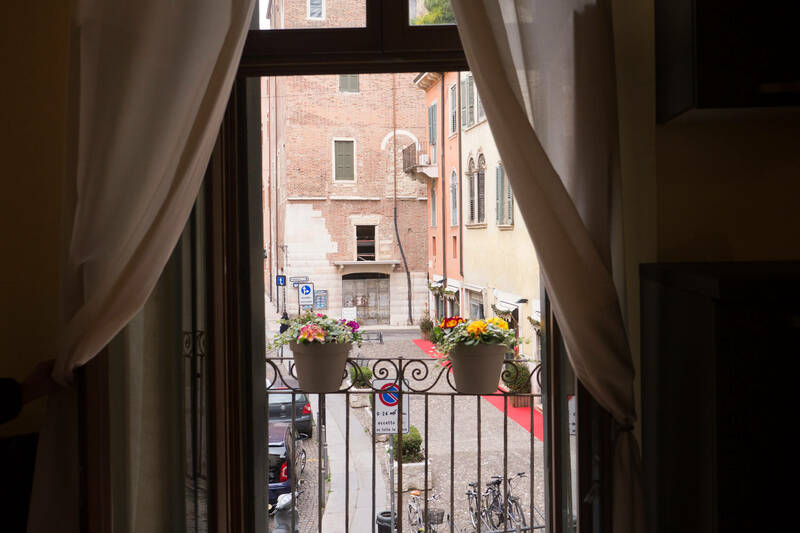 A welcome that combines warmth, efficiency and professionalism to a magical position in front of the balcony of the most famous lovers in the world, in the heart of Verona. 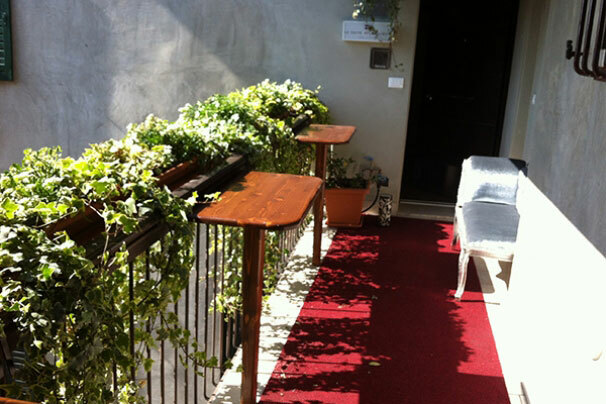 It’s the first historic Relais certified ClimateHouse Welcome in Italy, being synonymous with comfort and quality. 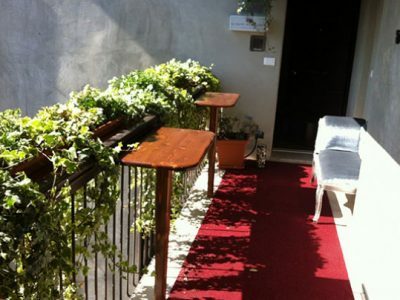 It’s an eco-friendly structure with an energy rating of Class A ClimateHouse. 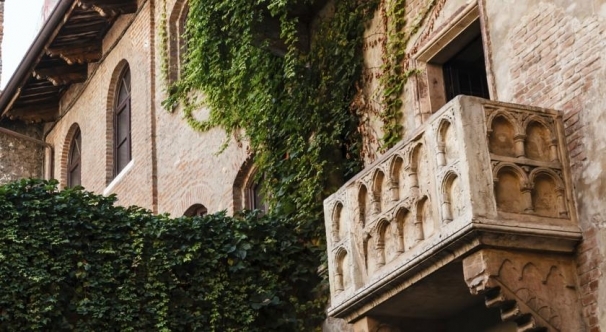 Being right in front of Juliet’s balcony, access to which is closed at night for tourists and is only visible to you, you participate in an illuminated atmosphere and an unreal silence. 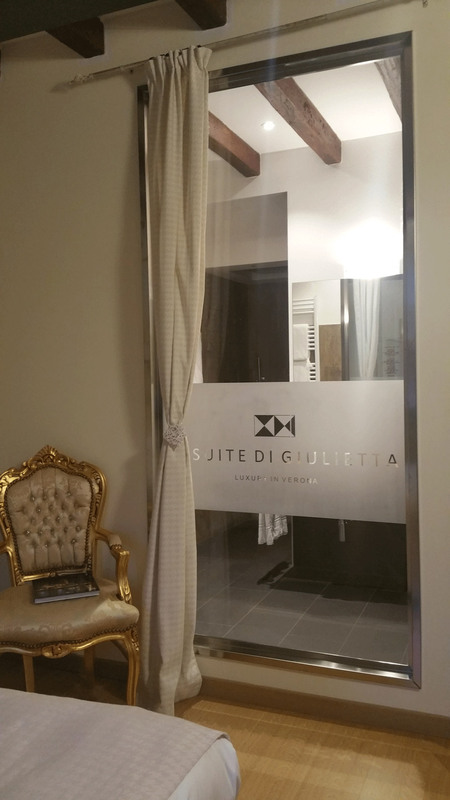 If you want to dream and know the welcome of a class and charm customized for you, Le Suite di Giulietta is the perfect place. 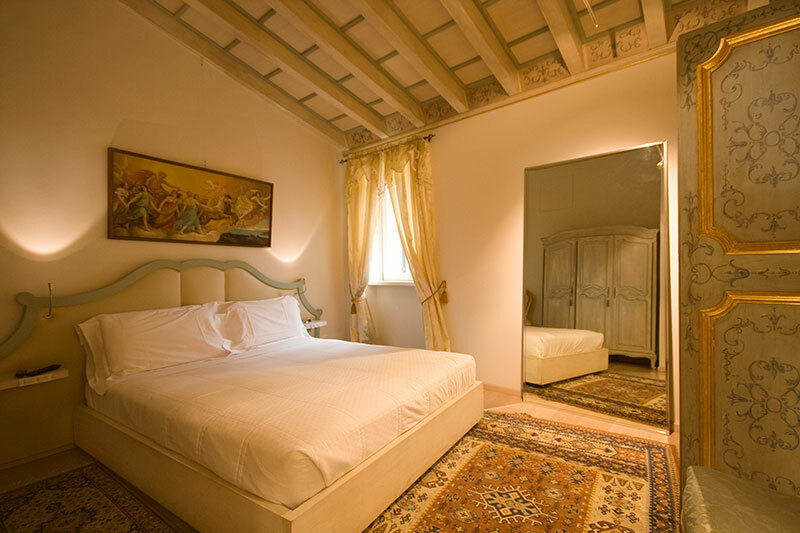 Le Suite di Giulietta is a Relais in a building built in 1400, a historical monument, located in the heart of Verona. 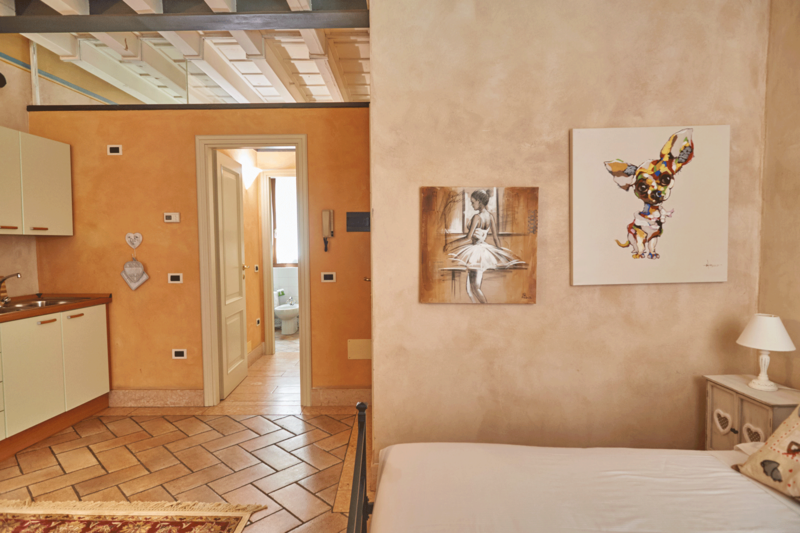 A house built during the extra-alberghiera period where time and history have left their mark, today has been combined with the most advanced technologies and comfort that present times can offer. 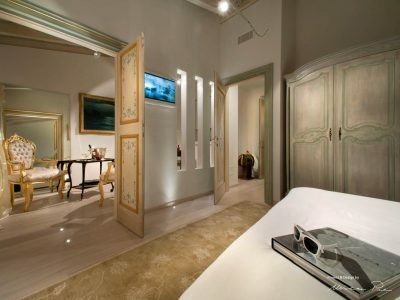 An unprecedented luxury. 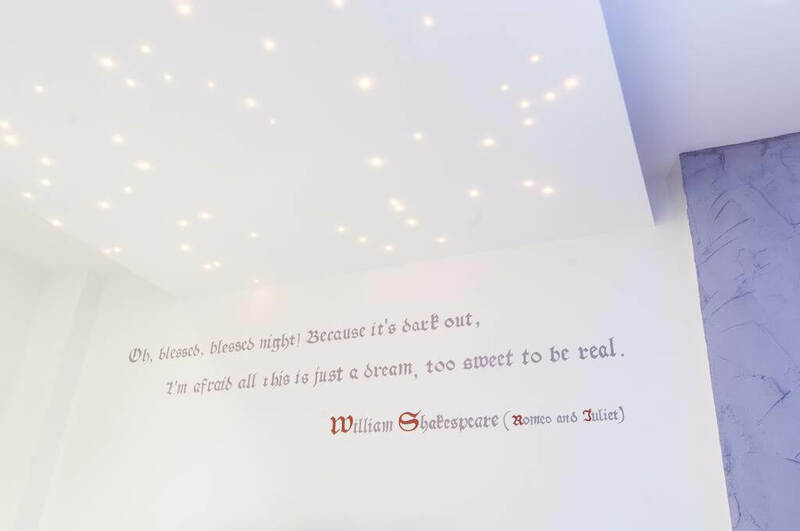 Each room in their own style has been equipped with a unique comfort, studied and designed to create an enchanting scene betweenthe legend of Shakespeare and the reality of the present. 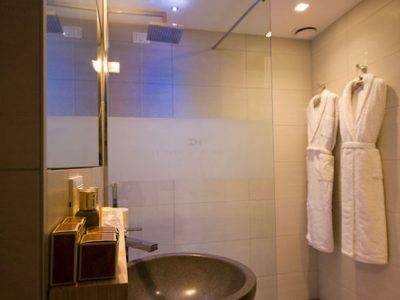 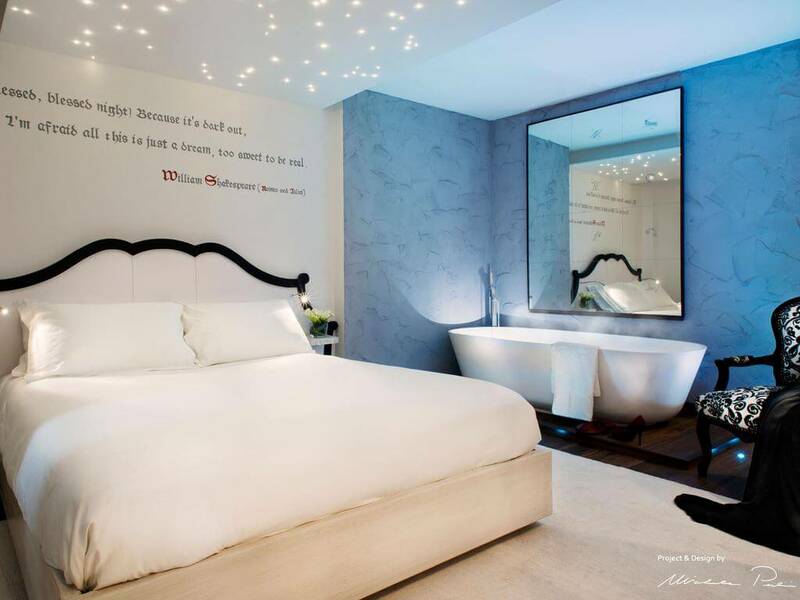 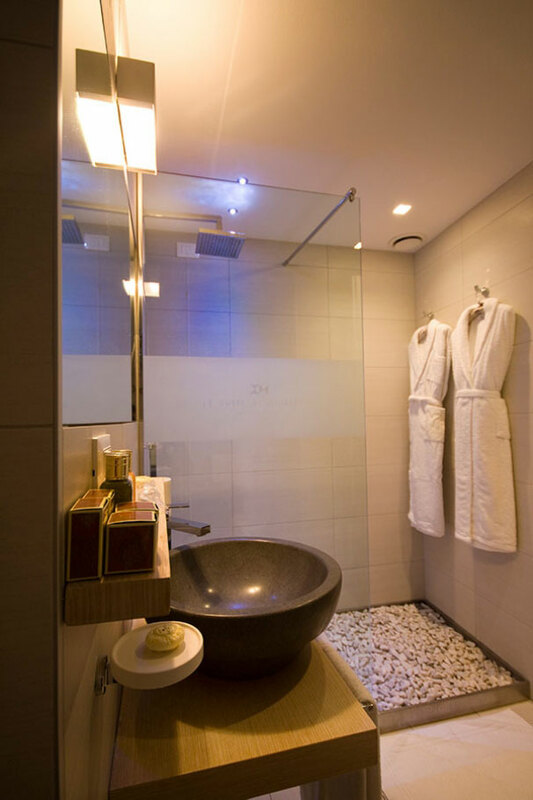 Those travelling for business will find their room completely soundproof with an ultra-slim LED TV, shower and bath with chromotherapy, fiber optic lighting and free Wi-Fi 24 hours a day. 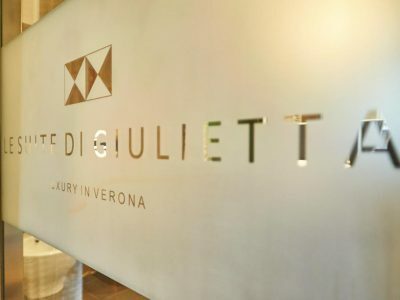 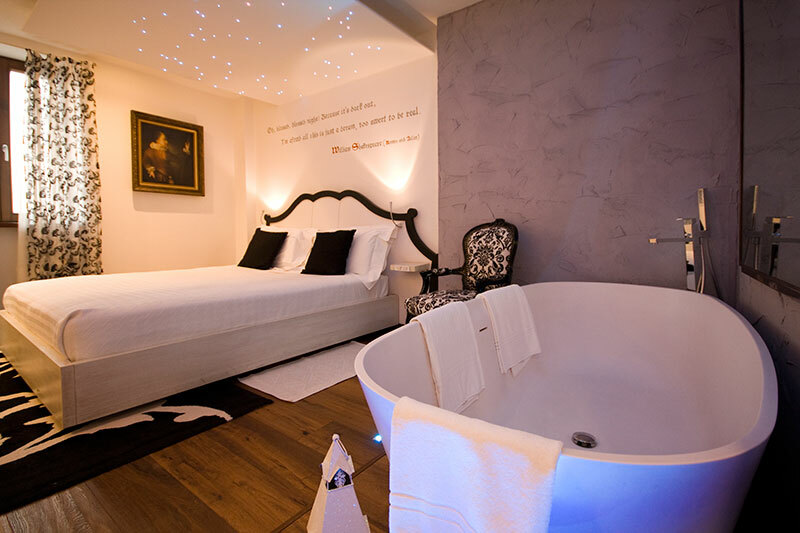 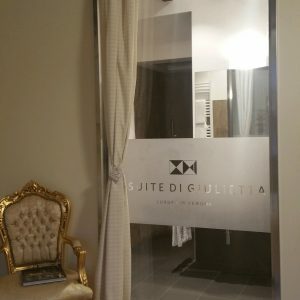 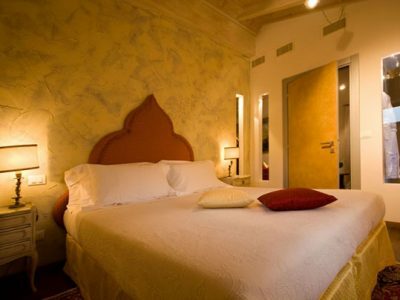 Immerse yourself in the romantic atmosphere of the historic center of Verona and the luxurious Le Suite di Giulietta to make your stay unique and unforgettable. 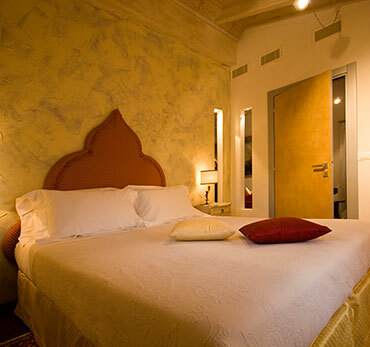 NB: Our Relais is located in a limited traffic area in the center of Town. 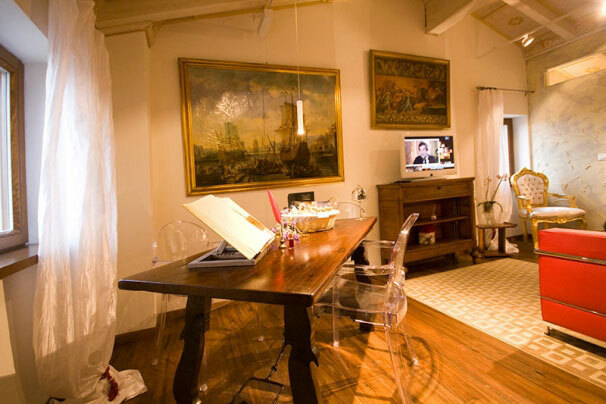 It's important to communicate by telephone at least 30 minutes before the time of arrival. 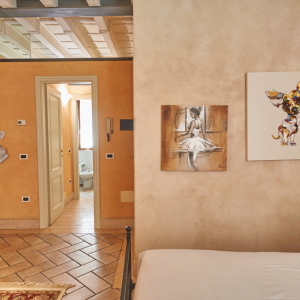 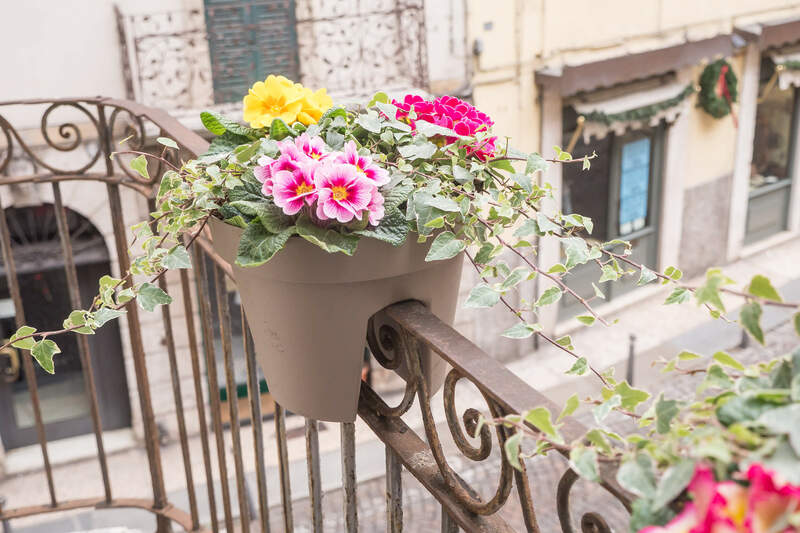 Stay at one of our exclusive suites in front of Juliet’s Balcony. 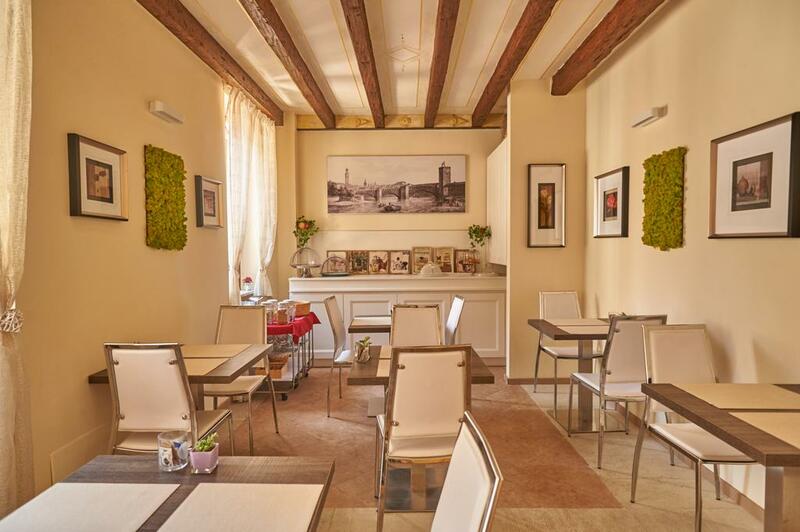 Welcome drink with typical Veronese tastings, bouquet of red roses, dinner for 2 people (drinks not included) at a famous typical trattoria in Verona, breakfast served in your room. 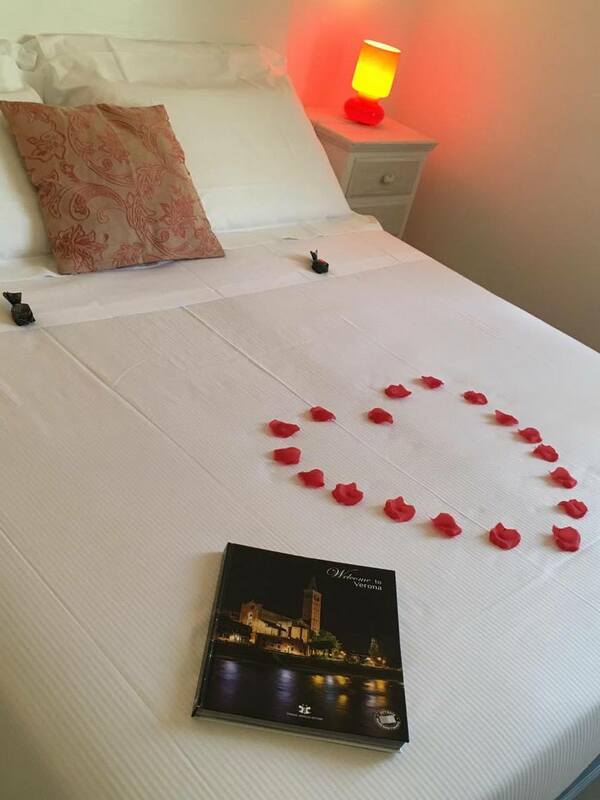 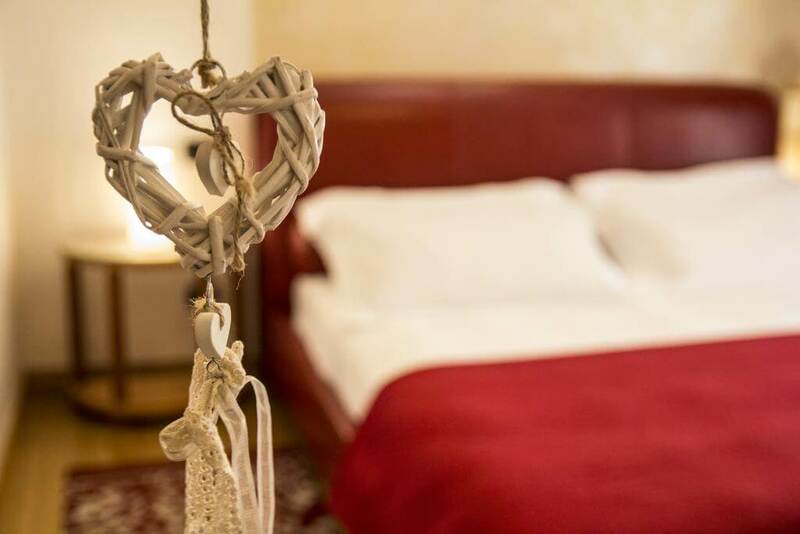 Free upgrade in one of our suites (upon availability on arrival), romantic gift, dinner for 2 people (drinks not included) at a famous typical trattoria in Verona, breakfast served in your room.